You are spending time planning out your meals, prepping your food, hitting the weights and doing your cardio ... but are you putting any emphasis on RECOVERY?! I bet the answer is NO for 9 out of 10 of you reading this blog. I never put FOCUS on recovery (seeing a myofascial release specialist, self myofascial release and stretching) until last year. Annnnnnd if we are being honest even then I wasn't CONSISTENT. I'd maybe roll once or twice a week and stretching didn't happen unless my therapist or chiro did it. Slowly I started incorporating more "rolling" and recovery and now I start every single morning (with the occasional miss here and there) with a light "roll" followed by 5min of stretching and ALMOST every single post lift I do the same thing focusing on whatever body part I trained. I always knew my body NEEDED it to recover but I'm amazed at how it's affected the ACTIVATION of my muscles!! The increased mobility is a nice little bonus too! In addition to feeling less "stiff"... I also notice the difference in how much more "freely" I can move when posing on stage! I know that you can go to Amazon and pick up any ole "foam roller" or use the one at your gym and that is what I always did until I discovered a line called RAD ROLLER. In short, the founders of RAD Roller saw a void in the "rolling" industry. Until the creation of the RAD Roller, no massage tool could create such remarkable muscular mobilization without putting damaging and painful pressure on the bones in the neck and back. This patent-pending design soon expanded to include three different densities, and before long, its success spurred the invention of an entire series of RAD mobility products. 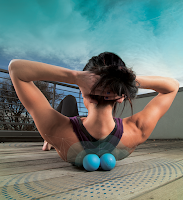 RAD is, quite literally, inspired by human movement, and people of all walks of life now use our tools to create relief in nearly every muscle of the body. YOU WILL notice the difference in the HELIX compared to a typical ole roller!! As for the other products .. well there are just none others like them on the market. Sure you could use a tennis ball, or taped together tennis balls, or medicine balls and squat rack bars .. but those "substitutes" are not ideal, may not even really work and if used wrong could even cause damage. RAD was designed with our bodies in mind. The tools provide controlled, acute point release, move waste materials out of your soft tissue and encourage proper spinal alignment. And when used regularly, they help unlock your body’s true movement potential. Another big perk is that EVERY ITEM can fit in my GYM BAG!!! That is right .. I put my Roller, Helix, Rod, Rounds and Atom ALL in my gym bag!! Because they are smaller and more compact they are also easy to travel with!! I have a friends discount you can use! Just put StacyM in at checkout! Please let me know if you need any help ordering! Below I've listed my favorites and what I use them for and also some links to Rad Roller YouTube page where you can find some guidance of how exactly to use your Rad products once they arrive! ATOM - I use this primarily on my glutes, hamstrings and chest. When you don’t need the hyper-precision of a point release tool (like the rounds) but you need some high-quality compression and circulation in larger muscle groups (like the glutes and hips) the RAD Atom will be your new best friend. Also if you purchase the the RAD Rod you can use them TOGETHER for crow-bar style control and deeper compression!! HELIX - I use this on my lats, back, neck, hams, quads, calves and hips! This is what you would use in place of your regular old school "foam roller" -- RAD Helix has low back extension and three-dimensional muscular release down to a science. No joke, this baby puts traditional foam rollers to shame. The arched design replicates a double helix, the building blocks of the body. And for good reason too. This anatomical shape is almost human, relentlessly unlocking stiffness on two planes and flushing out toxins to promote healthy, open posture. The RAD Helix flushes out toxins and enhances your back’s range of motion with its anatomical shape that’s designed to protect the spine. Your foam roller definitely can’t do that. ROD - I use this on my traps, quads, hamstrings, shins and forearms ... and it hurts so GOOD! YOU decide how much pressure you want to use. The RAD Rod is fully loaded with a steel core and soft outer shell that stick it to tension like nobody’s business. The slender design minimizes surface area so you can fine-tune your pressure without pain—even on bony areas like the shins. That means tight muscles and built-up toxins better watch their backs because this rod rocks concentrated release and maximum relief the way only RAD can. ROUNDS - I use these for anything from headaches, to foot health, digging into my glutes like NOTHING else, elbow pain and MORE! RAD Rounds serve up two times the relief with firm density that busts up tension in sensitive spots like the neck, feet and hands. 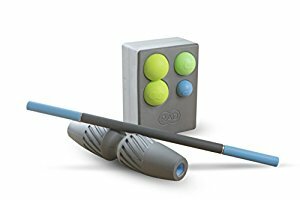 These balls are specifically designed for the body, not sports, which is lot more than a tennis ball or “whatever’s around the house” can claim. So when you want something that’s built for the job, choose from our two pressure-seeking sizes that comfortably fit where other tools can’t. And for those who crave even more control and focused release, pair these babies with the RAD Block. ROLLER - There really isn't a place I don't use the RAD Roller. It works everywhere on you (precise enough to target almost every muscle in your body) and everywhere you go (it’s crazy compact and perfectly portable). When I flush this up and down my spine it literally feels like a MASSAGE. I also just let it rest under my neck (looking right to left, etc.) and it totally gets rid of any neck tension! I also use this on lats, triceps and more! I use the blue rad roller original and my husband uses the original xl. I know when you get stuff like this it can be REALLY confusing as to HOW to use it! HERE is the Rad Roller YOUTUBE page and they have TONS of video tutorials showing you ways to use the products! Also on the webpage .. each product has a downloadable PDF you can print off! As always you can EMAIL ME and I will try to help you as well. I suggest following my protocol and getting in a light roll and then stretch to get your body moving in the morning if you have time. But most important ... roll BEFORE stretching ... POST LIFT! There is lots of "mixed science" out there as to if you should roll and stretch BEFORE training. I'm not sure what I believe and have heard BOTH SIDES from pretty solid sources. Some research has said that massage and PROLONGED STRETCHING can reduce strength if done pre-training .. other studies proved however that the foam rolling did not impact strength. It seems pretty across the board that PROLONGED STATIC STRETCHING during your warm-up can decrease performance in your workout. But that myofascial release with products like RAD Roller can dramatically increase your range of motion without any negative effects on strength! SO ... to summarize. Do NOT stretch pre workout .. instead use some short compression techniques using RAD products PRE workout and/or in between sets for whatever body part you are working. Then POST lift spend more time doing the same .. plus add some stretching AFTER the myofascial release with RAD products.